This the first post of a long series..so stay tuned! Questo è il primo post di una lunga serie...quindi rimanete sintonizzati! I hope you'll find this post useful! Spero troverete utile questo post! hai trovato delle fantastiche soluzioni! I sandali Top Shop sono troppo carini (anche se in effetti con questo freddo ho proprio poca voglia di comprare sandali) e sono quasi identici a quelli di Valentino! Un bacione, buona serata e vado a dare un'occhiatina al tuo blog! The cheetah print boots are extra cute!!! Thanks for visiting my blog, follow me and for your words! Amazing leopard boots and loafers, I need loafers! 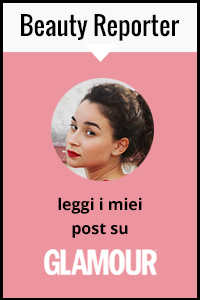 Sul mio blog è in corso uno swap passa a leggere il regolamento e decidi se partecipare. Oh thanks, you're really nice! omg i love giuseppe Zanotti ones!! Zara giveaway on my blog, starting tomorrow! tks for your visit,I like this post. great shoes and cheap options.kisses following you too. Great shoe collection, i like the McQueen leopard. Lovely blog, if you want visit my blog and let me know if you want to follow and I will follow back. Wow really great shoes. I like the third one. Nice colours. Lovely post! These are lovely! Loving the Acne and Topshop booties. Wow wow wow! Great post! In love with the last Jeffrey Campbell's! Thank u for your lovely comment on my blog, u're so welcome there!!!! The color block heels instantly caught my eye, and those ankle boots are gorgeous! love the middle two so so much! LOVE the color blocked shoe!!! !